The police report said that Blackwood had been backing out of her driveway in a pickup truck that was pulling a trailer. She hit the motorcycle driven by Bruce Kingdon, who died at the scene. His wife Cassie had been riding behind him on the bike. The police said that Blackwood didn’t stop, but drove to a neighbor’s yard and then tried to hide the damaged truck behind her home. She then returned to the scene; a neighbor reported to the 911operator that she was standing in the street. A week after taking the blame for the accident, however, Blackwood changed her story and posted a retraction on Facebook. She said her father Felix Blackwood had actually been driving and that she had lied to keep him out of jail. The elder Blackwood has four DUI convictions on his record and is now on probation after serving time in a Tennessee prison. Elisabeth Blackwood, on the other hand, has only a speeding ticket on her driving record. 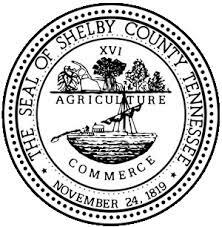 The Shelby County Sheriff’s Office has had no comment on the case because they are still investigating it. If Felix Blackwood is the guilty party, he’d face some stringent penalties in California under Vehicle Code 23550. The state would revoke his license for an indefinite period of time, would designate him a habitual traffic offender and a judge could sentence him to additional time in jail.